An interactive Mommy and me class for learning American Sign Language with instructor Maycee. This class will answer your questions about how to get started learning ASL along with your kiddos! Nip tantrums in the bud by giving your toddlers a way to communicate! This week focuses on Daily Routine! From 10 am to 10:30 am at Jose’s Place LLC, 700 E. 1st Street, Suite #748. Find the full schedule and learn more here! The Easter Bunny is coming to the White Sands Mall! Pictures with the Bunny are $7 for the first one and $4 for each additional one after that. Pictures are available right away and come with a card! At the White Sands Mall, 3199 N. White Sands Blvd. The Easter Bunny will be there Friday the 19th and Saturday the 20th from 10 am to 6 pm! For more information, call the Mall office at 434-3990 or click here! 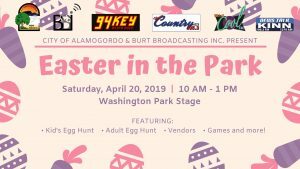 Easter in the Park 2019! Fun for the whole family! Kid’s Egg Hunt, Adult Egg Hunt, tons of Vendors, games, and more! Sponsored by the City of Alamogordo and Burt Broadcasting Inc! To apply for a vendor booth space, click here. The last day to register for a booth is Friday, March 29th. Booths are free provided the vendor contributes a game for kids to play and treats to win! Easter in the Park starts at 10am and runs until 1pm at the Washington Park Stage. For more information click here! Come down to Jose’s Place for a fun Easter celebration! Crafts, egg hunts, and a visit from the Easter Bunny! Event is free with paid admission and for members! Don’t forget a basket for the egg hunt! From 10 am to 12 pm at Jose’s Place, 700 E. 1st Street, Suite 748. For more information, call 437-1791 or click here! An interactive Mommy and me class for learning American Sign Language with instructor Maycee. This class will answer your questions about how to get started learning ASL along with your kiddos! 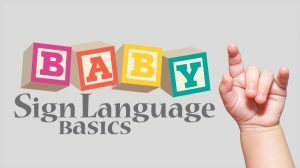 Nip tantrums in the bud by giving your toddlers a way to communicate! This week focuses on Counting and Colors! From 10 am to 10:30 am at Jose’s Place LLC, 700 E. 1st Street, Suite #748. Find the full schedule and learn more here! Come to the Library and take part in a fun book discussion group that focuses on different genres of fiction every month! April’s book title is ‘The Red Badge of Courage’ by Stephen Crane. Event starts at 6 pm and runs until 7:50 pm at the Alamogordo Public Library, 920 Oregon Ave in the Eugene Manlove Rhodes Room. For more information call 439-4148 or click here! Come down to the Patron’s Hall to enjoy some tasty food, ice cream, dancing, and, of course, great live music by Countrified! Starts at 6:30 pm. 1106 New York Ave. For more information give them a call at 575-488-2185 or click here! Introducing Mulan! Join Beauty and Mulan for a fun hour of reading, telling stories, and maybe even singing! Photo opportunities will be available after the story time! Dressing up is always welcome! FREE to attend. 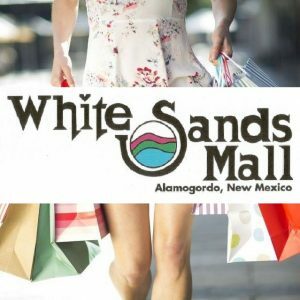 Story time starts at 3 pm and runs until 4 pm at Books Revisited inside the White Sands Mall, 3199 N. White Sands Blvd. 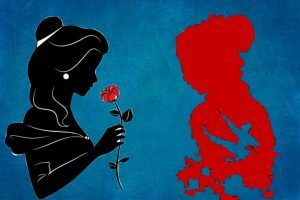 Sponsored by Books Revisited and Classic Characters. For more information click here or message them on Facebook here! Come down to the Washington Park Stage and enjoy Movies on the Stage! This month, the movie is ‘Sgt. 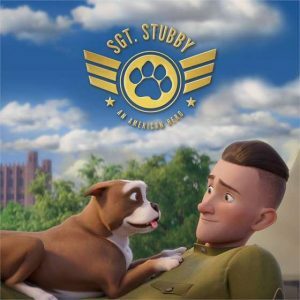 Stubby: An American Hero’! Admission is FREE! Movie starts at dusk. Sponsored by the City of Alamogordo, BBI Radio, 94Key, KZZX, and Cool FM. For more information call 439-4253. Come to the Library and take part in a fun book discussion group that focuses on different genres of fiction every month! May’s book title is ‘Bee Season’ by Myla Goldberg. Event starts at 6 pm and runs until 7:50 pm at the Alamogordo Public Library, 920 Oregon Ave in the Eugene Manlove Rhodes Room. For more information call 439-4148 or click here! 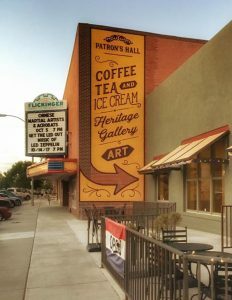 It’s time for Fourth Fridays! Enjoy live music, food, drinks, and FREE admission! Featured on the main stage, ‘2 Shots Down’. At the Alameda Park Zoo, 1321 N. White Sands Blvd. from 6 pm to 9 pm. No pets, outside food, or beverages allowed- no exceptions. Sponsored by the City of Alamogordo, BBI Radio, 94Key, KZZX, and Cool FM. For more information call 439-4253. 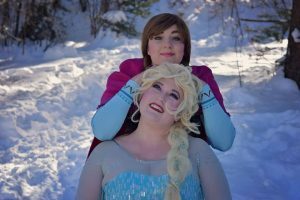 The Frozen Sisters are back for a fun hour of reading, storytelling, and maybe even singing!Event is FREE to attend! Photo opportunities will be available after the story time! Dressing up is always welcome! Starts at 3 pm and runs until 4 pm at Books Revisited inside the White Sands Mall, 3199 N. White Sands Blvd. Sponsored by Classic Characters and Books Revisited. For more information click here or message them on Facebook here! Come down to the Washington Park Stage and enjoy Movies on the Stage! 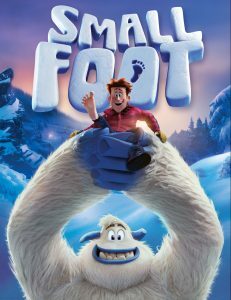 This month, the movie is ‘Smallfoot’! Admission is FREE! Movie starts at dusk. Sponsored by the City of Alamogordo, BBI Radio, 94Key, KZZX, and Cool FM. For more information call 439-4253. It’s time for Fourth Fridays! Enjoy live music, food, drinks, and FREE admission! Featured on the main stage, ‘Time to Burn’. At the Alameda Park Zoo, 1321 N. White Sands Blvd. from 6 pm to 9 pm. No pets, outside food, or beverages allowed- no exceptions. Sponsored by the City of Alamogordo, BBI Radio, 94Key, KZZX, and Cool FM. For more information call 439-4253. Come down to the Washington Park Stage and enjoy Movies on the Stage! 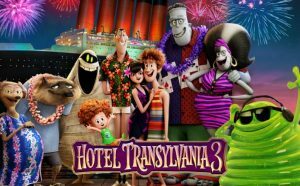 This month, the movie is ‘Hotel Transylvania 3: Summer Vacation’! Admission is FREE! Movie starts at dusk. Sponsored by the City of Alamogordo, BBI Radio, 94Key, KZZX, and Cool FM. For more information call 439-4253. It’s time for Fourth Fridays! Enjoy live music, food, drinks, and FREE admission! Featured on the main stage, ‘Hear No Evil’. At the Alameda Park Zoo, 1321 N. White Sands Blvd. from 6 pm to 9 pm. No pets, outside food, or beverages allowed- no exceptions. Sponsored by the City of Alamogordo, BBI Radio, 94Key, KZZX, and Cool FM. For more information call 439-4253. Come down to the Washington Park Stage and enjoy Movies on the Stage! 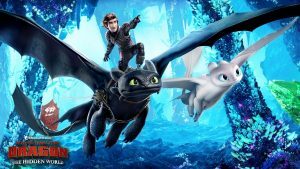 This month, the movie is ‘How to Train Your Dragon 3: The Hidden World’! Admission is FREE! Movie starts at dusk. Sponsored by the City of Alamogordo, BBI Radio, 94Key, KZZX, and Cool FM. For more information call 439-4253. It’s time for Fourth Fridays! Enjoy live music, food, drinks, and FREE admission! Featured on the main stage, ‘Rosewater Blues’. At the Alameda Park Zoo, 1321 N. White Sands Blvd. from 6 pm to 9 pm. No pets, outside food, or beverages allowed- no exceptions. Sponsored by the City of Alamogordo, BBI Radio, 94Key, KZZX, and Cool FM. For more information call 439-4253. 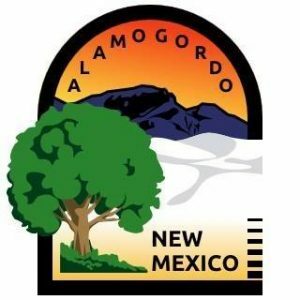 Come build with the Alamogordo Public Library! 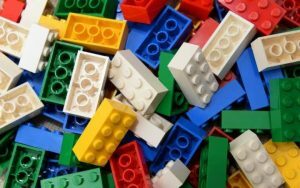 There will be Legos, Duplos, Lincoln Logs, and tons of other building materials! Create your masterpiece! All ages are welcome as long as you can share! 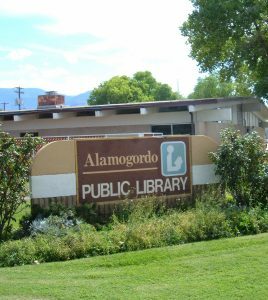 From 12 pm to 2 pm at the Alamogordo Public Library, 920 Oregon Ave. For more information call the Library at 439-4140 or click here! Meetings are held at Christ Community Fellowship Hall, 2960 N. Scenic Dr., at 6:30 pm, and are non-denominational. For more information, please call 702-682-2556. Meetings are held at Our Savior Lutheran Church, Education Wing, 1212 Washington Ave., at 12 noon. For more information, please call 575-437-6671. Meetings are held at Bethel Baptist Church, 1316 Scenic Drive, at 7 pm. For more information, please call 575-437-6671.